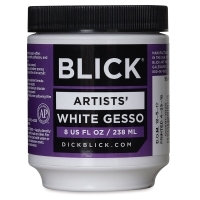 Apply it to raw canvas, wood, hardboard, paper, and other porous surfaces as an excellent preparatory ground for oil or acrylic painting. 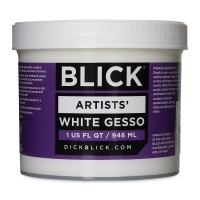 The 100% pure acrylic polymer formula has a rich, smooth viscosity that is easy to spread and covers in one to two coats. 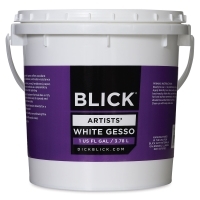 White Gesso features a high percentage of titanium dioxide that assures a brilliant white, non-yellowing ground. 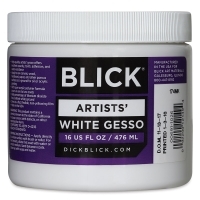 It may be tinted to any shade you desire using acrylic colors. 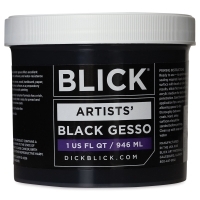 Black Gesso provides an excellent ground for artwork with deep color palettes. 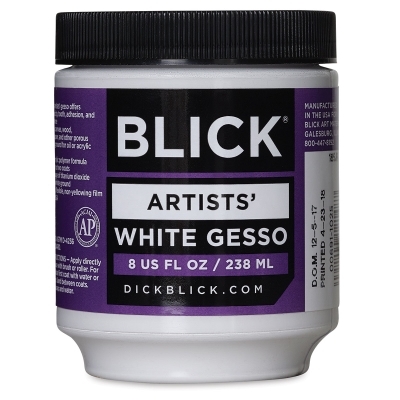 Non-toxic and lead free, Blick Artists' Acrylic Gesso dries to a flat, flexible film and cleans up with soap and water.